I just wanted to say that I know it has been a month since I have posted a brand new story. It’s not that I have run out of material, or have gotten bored with The Infinite Baseball Card Set – both of those things are very, very far from the truth. The reason behind my lack of new stories is that I have had a few very tight illustration and writing deadlines that all hit at the same time. Among those are a few special portrait commissions, a unique service I offer that you may read more about in my STORE. But, even with the deadlines, I have managed to create a whole starting lineup worth of illustrations for upcoming stories that you will see here soon. I wont list who they are, but some you can get by looking at the photos I posted above, others are pretty obscure. So stay tuned for new stories and illustrations in the near future! 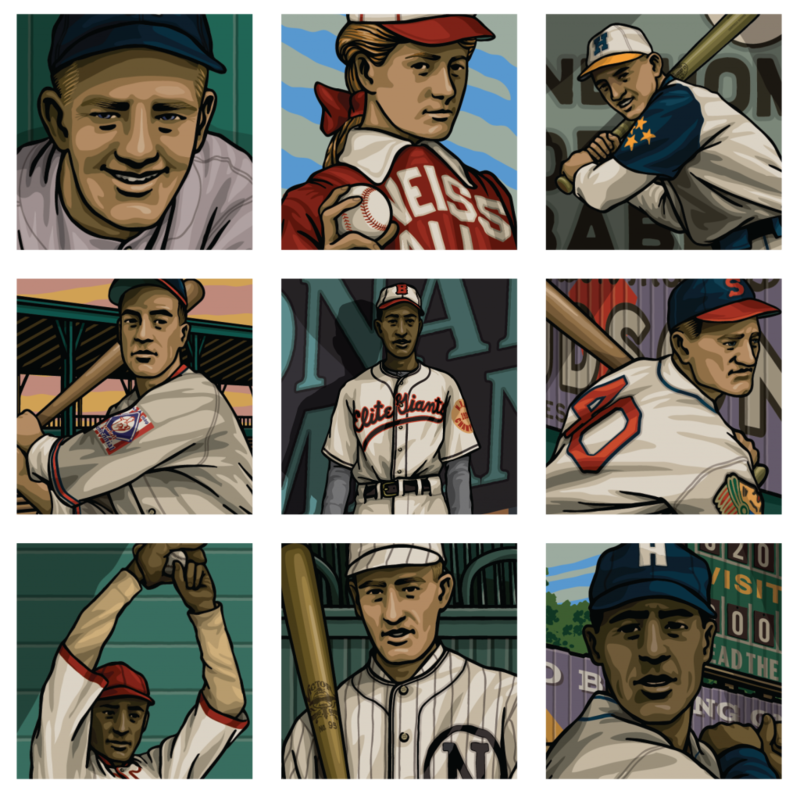 ← Ralph Branca: Because he was strong enough.